San Antonio Feral Cat Coalition is a 501(c)(3) Nonprofit Corporation that depends entirely on donations to sustain its operations. We appreciate every donation, no matter the amount. Every penny donated is used in some capacity to help feral and stray cats. All donations are fully tax-deductible. 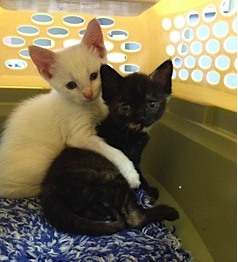 Donate or directly purchase needed items for our fosters and our cat adoption program. Our Amazon Wish List has many items our fosters need to care for our bottle babies during kitten season and our older cats year-round. Please consider donating an item. You can purchase items and have them mailed to us so you don’t even have to go to a store. Thank you! Please let us know when you have ordered from our Amazon Wish List so we can make sure we received it and so we can thank you! Email Barbara Loewen at treasurer@sanantonioferalcats.org. Support us when you buy any of these cool t-shirts! SAFCC is now a designated rescue supported by 5 By Design, a tee-shirt design company. Their goal is to save and improve the lives of abandoned animals. After helping in shelters around the world, the owners felt the need to do something to help financially and 5 By Design was born! The tee-shirt design company donates the net profits of every tee-shirt purchase to the animal rescue you select. If you’re an animal lover who wants to wear something that will look good, feel good and do good check out the website and, when making your purchase, be sure to designate SAFCC as the animal rescue. Visit 5bydesign.com to start shopping! Help cats one step at a time! You can’t walk your cat, but you can walk in support of cats! ResQwalk is a FREE mobile app that enables you to raise money and resources for animal welfare organizations, simply by walking. All you have to do is download the ResQwalk app, select SAFCC as your favorite animal rescue, and start walking!